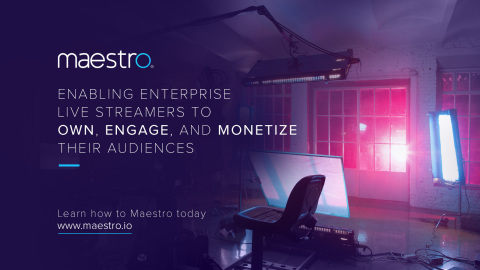 Maestro, the engagement and analytics platform for enterprise live streamers, announced the close of a $3 million Series A financing. The round is led by Hersh Interactive Group with additional investors Rubicon Venture Capital (investor in Unikrn) and the Stanford-StartX Fund. This brings the total capital raised by the company to $5.8M when added to the previous $2.8M Seed funding which included 500 Startups (led by former Hulu exec, Andrei Marinescu), Scrum Ventures, Three Six Zero Group, and Larry and Drew Marcus, partners at Walden Venture Capital.